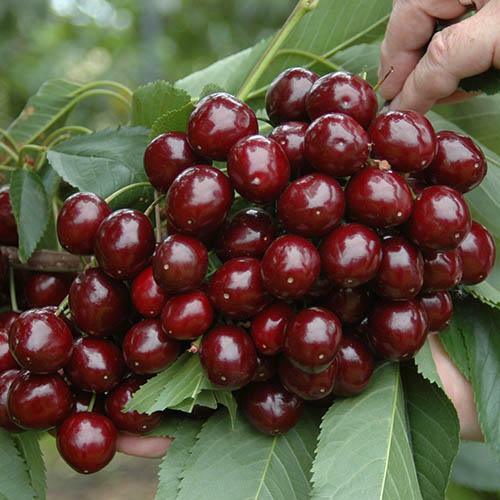 We are delighted to introduce this incredible NEW & EXCLUSIVE sweet fruited ‘BUSH’ cherry that represents the biggest cherry breeding breakthrough in decades! 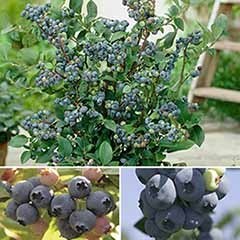 The delicious fruits are super sweet and have an old fashioned mouth-watering aromatic flavour – each totally winter hardy bush will produce up to 5kg (approx. 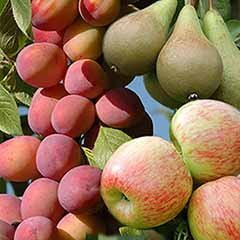 12lb) of fruit per year once fully established. 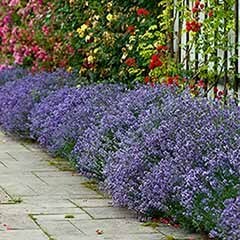 Athos is perfect for any garden and is even suitable to grow in a large pot - it could even be grown as the ultimate productive hedge! 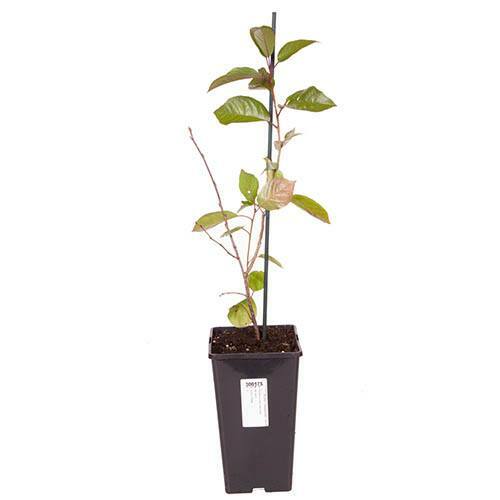 Supplied 60 – 70 cm tall in a 3 litre pot. 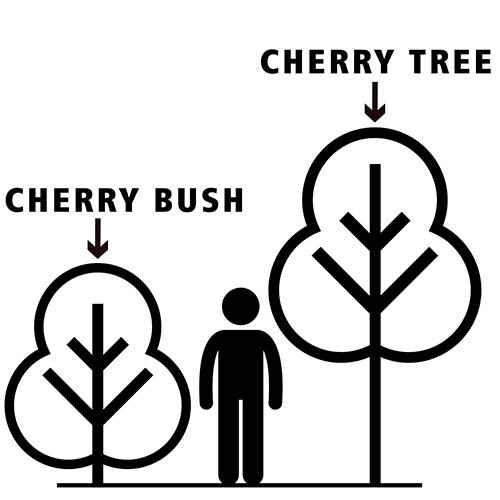 Eventual height – 2 m (6ft). 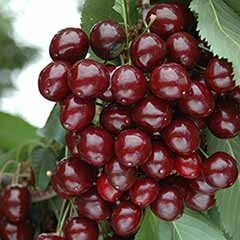 Because it grows in a naturally dwarf BUSH habit and on its own roots, (rather than as a tall grafted tree) you can pick your heavy crop of tasty cherries from each branch, easily and from the safety ground level every summer ... from early July here in the UK - no ‘Cherry Pickers’ required! Supplied approx. 60-70cm tall in a 3L pot, ready to plant out. 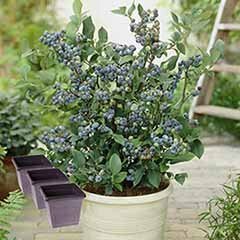 Pot-grown shrubs can be planted at any time of the year as long as the soil is not waterlogged or frozen. If in doubt, err towards spring but remember to keep pots well-watered so that the soil does not dry out. 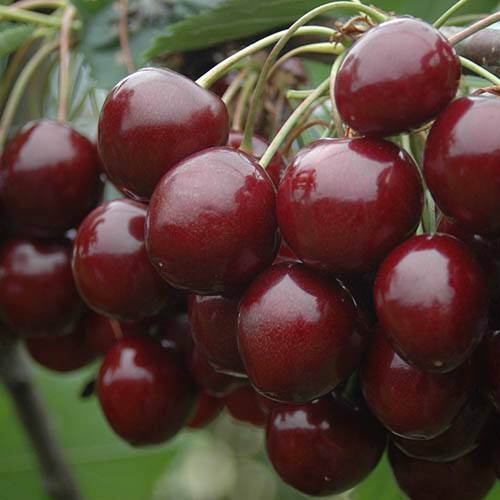 Birds will quickly strip the ripening cherries from the tree - drape netting over cherry trees to protect the fruit from birds. 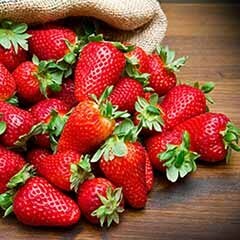 Best grown in moderately fertile soil in full sun. Also perfect in large pots on a patio - 30cm diameter or larger and keep well watered. Shrub roots generally tend to spread out rather than down, so dig a planting hole 3 x wider than the roots of the shrub you're planting, and mix some well rotted compost or manure with the soil from the hole and use this to re-fill one the shrub is in place. We've found that a square hole is better than a round one as the new roots, once they reach the edges tend to grow in a circle round the circumference of the hole whereas when they reach the corners of a square hole, they find it easier to grow through. Place your shrub in the hole at the same level at the pot. Apply a slow-release fertiliser such as blood fish and bone in early spring, and mulch to retain moisture, about a month before flowering. Established trees don't require radical pruning to keep them fruiting, just take off any diseased, dying and damaged branches, (the three Ds) in spring. Look at the overall shape and aim for an open structure of branches and remove any that cross over so they don't damage each other. Trim longer new shoots back mid-summer for better shaped trees. 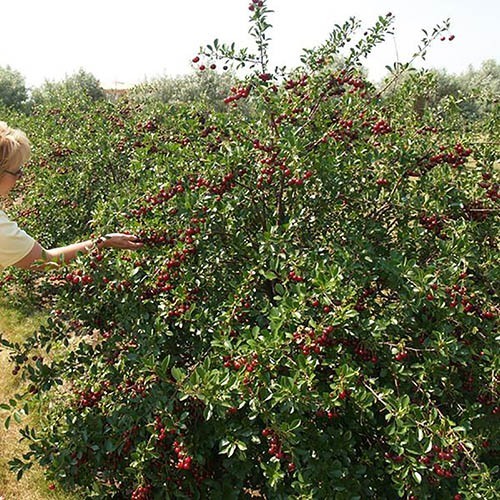 Harvest crops as soon as they ripen. 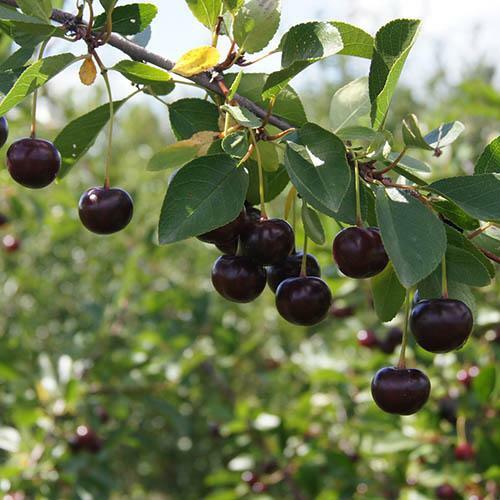 Avoid leaving windfalls or over-ripe fruit on the ground. Don't forget the tree guards as rabbits can strip the bark overnight. I ordered a cherry bush. It came quickly and the packing was good so that it did not suffer any damage in transit. Yes, I will order fromGsrden Bargwins again. Early days yet. I have planted it outside and hope that it survives this cold weather. Yes we are very happy with the product,So happy we have returned to GardenBargains again. It sounds like a great product it will take a while to get the results .Service was great no problems. A great and unique range of products at good prices with fast reasonably priced delivery. An interesting plant that I hope will replace the cherry trees I lost last year. The plant I received was pot grown and had a well developed root system I look forward to years a fruit. Thank you very much for your feedback, we take any feedback very seriously and your comments will be passed on to our Nursery Manager. Please do not hesitate to let us know if the Tree does not thrive. I have used this company several times and I've never had any problems. A very good service and excellent value. Arrived quickly and very well packed. Nice plant in excellent condition. Good communication and website easy to use. Good size plant, true to description and arrived healthy. Quick delivery and very well packed. Plant was in excellent condition and as described.